CRAZY DISCOUNT! Was: $849.95 Now: $569.98! 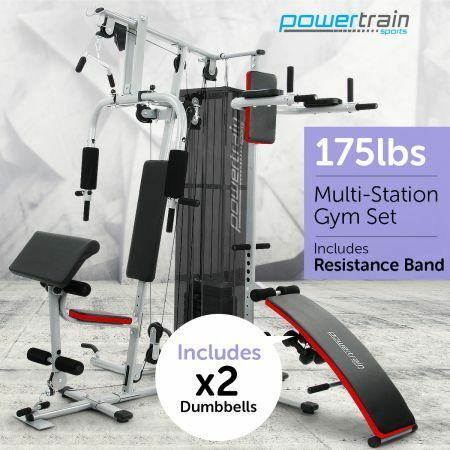 Ideal for your very own personal home gym. With this Powertrain MultiStation Home Gym station you can do arm/chest rowing, knee raises, curls, preacher curls, wrist curls, leg curls, leg extensions, ab crunches, arm pullovers, lat pulls, butterfly flyes, bench presses. As well as all this you have the ab tower for knee raises and tricep raises, an incline situp ab-crunch bench with two dumbbells.